The Penumbra Artist Series, organized by Leandro Villaro, brings to life the work of featured photographers and other notable guest artists and scholars, offering a unique opportunity to engage with them in an intimate setting as they discuss their work and process. Image © Adam Putnam. Untitled (The Drop I), 2014. 30x40 inches. Black and White C-Print. Courtesy of the artist and PPOW Gallery. Image © Ansley West Rivers.Missouri River, Niobrara State Park, Nebraska 2017. Courtesy of the artist. Image © Rachelle Bussières. Le Temps qui Change, 2018. Lumen print on gelatin silver paper, 14 x 11 inches, Lumen print on gelatin silver paper, unique. Courtesy of the artist. Rachelle Bussières (b.1986, Quebec City, Canada) received her MFA from the San Francisco Art Institute in 2015. She is the recipient of the 2015 Graduate Fellowship Award from the Headlands Center for the Arts, California; and the Award for Excellence from the Canada Millennium Scholarship Foundation in 2008 and 2009. In 2015, she received an Honorable Mention for the Snider Prize from the Museum of Contemporary Photography in Chicago. Her work has recently been exhibited at Johansson Projects, the General French Consulate (San Francisco, CA), the Center for Fine Art Photography (Fort Collins, CO), Robert Koch Gallery (San Francisco, CA), Minnesota Street Project (San Francisco, CA), R/SF Projects (San Francisco, CA), Galerie l’Inlassable (Paris, FR), Headlands Center for the Arts (Sausalito, CA) and Present Company (New York, NY). In the last two years, she was awarded residencies at the Banff Centre in Alberta, the Vermont Studio Center and the SIM residency in Iceland. She is currently a Charter Resident at Minnesota Street Project in San Francisco. Adam Putnam is an interdisciplinary artist whose work has appeared in various exhibitions and institutions worldwide including 2008 Whitney Biennial; the 2nd Moscow Biennial, Busan Biennial, South Korea, MoMA P.S.1 and The Astrup Fearnley Museum (Oslo). Curatorial projects have included an exhibition of Martin Wong entitled Everything Must Go at P.P.O.W. and Blow Both of Us at Participant Inc. Recent projects have included solo exhibitions P.P.O.W. gallery, Galveston Artist Residency Gallery and the Munchen Kunstverein (Munich). Image © Jordan Sullivan. The Burning Season, 24x16inches, C-print. Courtesy of the artist. Jordan Sullivan is an artist based in Los Angeles, CA and Brooklyn, NY. His work within landscapes and urban environments explores the borders that exist between abandonment and loss, hope and resilience, the spirit and the body. Sullivan’s work is held in a number of international collections and has been exhibited widely, including exhibitions at Rubber Factory (New York City), Next Level Gallery (Paris, FR), MAMA (Los Angeles, CA), and Ampersand Gallery (Portland, OR). Sullivan is the author of 28 photobooks, zines, and artist books, most recently Looking After Angels (Paradigm Publishing, 2018), Death Valley (Ampersand Editions, 2017), and Remaining Light (Silas Finch Foundation, 2017). His artist book, Natural History, was featured in the International Center for Photography Triennial (2013), and a number of his books are included in the library collections of SF MOMA, the Metropolitan Museum of Art, Houston Museum of Fine Arts, The Amon Carter Museum, and the Brooklyn Museum, among others. His photographs and curatorial projects have appeared in publications such as The Paris Review, The New York Times T Magazine, Lenscratch, Elephant, Russh, Juxtapoz, and The New Yorker. Sullivan, though self-taught as a photographer, studied fine arts at the University of Michigan and University College London. Image © Erin Shirreff. Lacquer, clips and stack, 2018. Dye sublimation and archival pigment prints. 88.25 x 37.25 x 5.75 inches. Courtesy of the artist and Sikkema Jenkins & Co., New York. Erin Shirreff was born in British Columbia, Canada, and now lives and works in New York. Recent solo exhibitions were held at Palazzo De'Toschi, Bologna (2018); Sikkema Jenkins & Co., New York (2018); Fonderie Darling, Montreal (2017); and the Kunsthalle Basel (2016). A survey exhibition of photographs, sculpture, and video was co-curated by the Institute of Contemporary Art, Boston, and the Albright-Knox Art Gallery in 2015-16. Her work was recently included in these group shows: Le lieu du film, Kanal-Centre Pompidou, Brussels (2018); Slow Objects, The Common Guild, Glasgow (2017); Gray Matters, Wexner Center for the Arts, Columbus (2017);Photography Today: Distant Realities, Pinakothek der Moderne, Munich (2016); L’image volée, Fondazione Prada, Milan (2016); and Photo-Poetics: An Anthology, Solomon R. Guggenheim Museum, New York (2015). Shirreff's work is in the collections of the Metropolitan Museum of Art, the Centre Pompidou, LACMA, The Museum of Modern Art, Art Gallery of Ontario, and Yale University Art Gallery, among others. Award (2015). Monographs of Marco Breuer’s work include SMTWTFS (Roth Horowitz, 2002), Early Recordings (Aperture, 2007), and Color (Blackdog, 2015). Breuer has been a guest lecturer at Yale School of Art, Rutgers University, Princeton University, and the San Francisco Art Institute, among others; and has taught photography at New York’s School of Visual Arts, and in the MFA program at Bard College. Image © Marco Breuer. Untitled (C-1656), 2014. Chromogenic paper, folded/burned/scraped. 22-1/2 x 16-13/16 inches, unique. Collection of Victoria and Albert Museum, London, UK. Image © Klea McKenna. From the series Generation: Snakes InThe Garden, 2018. Courtesy of the Artist. Klea McKenna is a visual artist whose work has been shown and published internationally at venues such as SFMOMA, Datz Museum of Art in Korea, The Museum of Photographic Arts and the Hecksher Museum in NY. 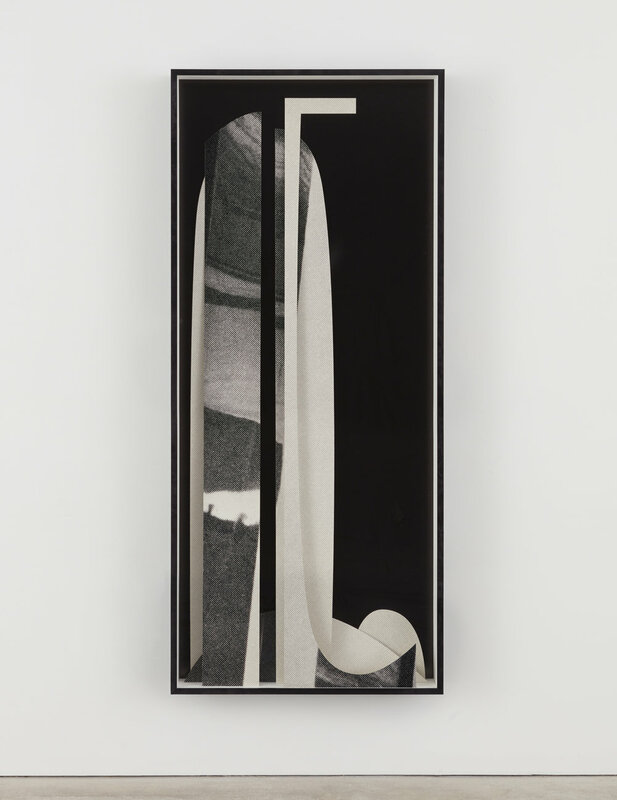 Her photograms are held in the collection of the SFMOMA, LACMA, Santa Barbara Museum of Art, the US Embassy collection and the Mead Museum of Art . McKenna is represented by Von Lintel Gallery in Los Angeles and Euqinom Projects in San Francisco. In addition to her own art practice, she was co-founder and photographer at IN THE MAKE an online arts journal that published studio visits and interviews with over 120 West Coast artists from 2011 to 2015. She lives in San Francisco with her husband and their young daughter. A new body of work, GENERATION, opens this September in both Los Angeles (Von Lintel, September 8th) and New York (Gitterman Gallery, September 12th). Image © Aspen Mays. Hugo 3, 2018. Courtesy of the artist and Higher Pictures. Aspen Mays was born in 1980 in Asheville, North Carolina and received her MFA in Photography from the School of the Art Institute of Chicago in 2009. She has had solo exhibitions of her work at the Center for Ongoing Projects & Research in Columbus, Ohio and the Museum of Contemporary Art in Chicago. Mays was a 2009-2010 Fulbright Scholar in Santiago, Chile, where she spent time with astrophysicists using the world’s most advanced telescopes to look at the sky. Her work has been written about in Art Forum, Art Papers, the New Yorker and the New York Times. She is currently Assistant Professor at California College of the Arts. Mays lives and works in the San Francisco Bay Area, California. A new body of work, opens this September in New York (Higher Pictures, September 15th). Joshua Chuang is The Miriam & Ira D. Wallach Associate Director for Art, Prints and Photographs, and The Robert B. Menschel Senior Curator of Photography at The New York Public Library. Binh Danh emerged as an artist of national importance with work that investigates his Vietnamese heritage and our collective memory of war —work that deals with “mortality, memory, history, landscape, justice, evidence, and spirituality.” His technique incorporates his invention of the chlorophyll printing process, in which photographic images appear embedded in leaves through the action of photosynthesis. His newer body of work focuses on nineteenth-century photographic processes, applying them in an investigation of battlefield landscapes and contemporary memorials. A recent series of daguerreotypes celebrated the United States National Park system during its anniversary year. His work is in the permanent collections of the National Gallery of Art, the San Francisco Museum of Modern Art, The DeYoung Museum, the Philadelphia Museum of Art, the George Eastman Museum, and many others. He currently is a professor of photography at Arizona State University. Image © Binh Danh.Shoshone Falls, Idaho. Daguerreotype, 6.5 x 8.5 inches, 2016. Courtesy of the artist, Haines Gallery, and Lisa Sette Gallery. Image © Stanley Wolukau-Wanambwa. Courtesy of the Artist. Stanley Wolukau-Wanambwa is a photographer, writer, and former editor of the contemporary photography website The Great Leap Sideways (2011—2017). He has contributed essays to catalogues and monographs by Vanessa Winship, George Georgiou, Marton Perlaki and Paul Graham, been an artist-in-residence at Light Work, guest edited the Aperture Photobook Review, and written for Aperture, FOAM magazine and The Photographer’s Gallery. He has lectured at Yale, Cornell and The New School, and is a faculty member in the photography department at Purchase College, SUNY. Steffani Jemison uses time-based, photographic, and discursive platforms to examine "progress" and its alternatives. Her work has been exhibited nationally and internationally, including MASS MoCA, Western Front, Nottingham Contemporary, Jeu de Paume, the Museum of Modern Art, the Whitney Museum, the Brooklyn Museum, the Studio Museum in Harlem, the Drawing Center, LAXART, the New Museum of Contemporary Art, and others. Her work is in the public collections of the Museum of Modern Art, the Whitney Museum, the Brooklyn Museum, the Studio Museum in Harlem, and Kadist. Jemison has completed many artist residencies and fellowships, including the Rauschenberg Residency, the Sharpe-Walentas Studio Program, the Studio Museum in Harlem AIR, the Core Program at the Museum of Fine Arts Houston, and the Skowhegan School of Painting and Sculpture. Jemison was born in Berkeley, California, and is currently based in Brooklyn, New York. She holds an MFA from the School of the Art Institute of Chicago and a BA in Comparative Literature from Columbia University. She is the 2017-2018 Mildred Londa Weisman Fellow at the Radcliffe Institute for Advanced Study, Harvard University. Chuck Kelton makes chemograms and photograms inside the darkroom; transforming light, chemistry and paper into abstract landscapes. 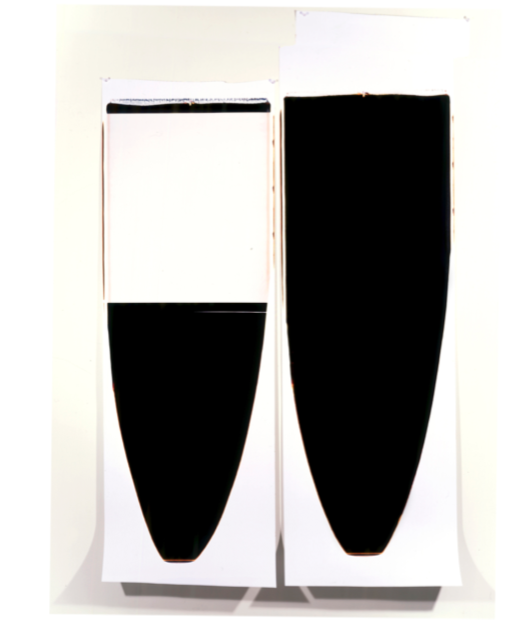 Both chemograms and photograms are made without the use of cameras or negatives, rendering each print entirely unique. The image in a photogram is the result of exposing photographic paper to light—writing with light. Whereas the image in a chemogram is the outcome of exposing photographic paper to developer and fixer—writing with chemistry. Kelton's gold chloride and selenium toned chemograms coax a surprising palette of fiery oranges and lush violets from gelatin silver paper. In a smaller suite of work, Kelton combines chemogram and photogram techniques; the shift marked with a cracked, folded horizon line separating swirling tones from smooth, matte black. Kelton's work has been featured in numerous exhibitions and publications and is in the collections of the Museum of Fine Arts Boston; Bibliothéque nationale de France; Norton Museum of Art, West Palm Beach, Florida; International Center of Photography, New York; and New York Public Library. The artist lives and works in Jersey City, NJ. Image © Chuck Kelton. Paradise, # 18. Gelatin silver photogram and chemogram,, 14 x 11 inches (35.6 x 27.9 cm), Unique. Courtesy of the artist. Image © James Welling. 1751, 2017. Inkjet on rag paper. Courtesy of the artist. James Welling was born in Hartford, CT, in 1951. Welling studied drawing at Carnegie Mellon University and video at the California Institute of the Arts. Welling's is a photographer best known for his photographs of everyday materials such as phyllo dough and aluminum foil. Welling' never formally studied photography, he set up a darkroom in 1976 and began learning about printing and developing with a series of architectural photographs of Los Angeles, CA. He emerged in the 1970s as an artist for whom photographic norms and the representational field itself were and remain contested and problematized. In 1985, Welling received the National Endowment for the Arts Fellowship. His work is currently held in several collections, including the Museum of Modern Art and the Metropolitan Museum of Art in New York. Theresa Ganz was born in New York City. She earned her BA from Vassar College in Film and her MFA from San Francisco Art Institute in Photography. She works in photo-based collage, installation and video. Her work has shown nationally and internationally at, among others, The Datz Museum of Art in Korea, the Museum of Craft and Design in San Francisco, The Bell Gallery at Brown University, San Francisco CameraWork and The John Michael Kohler Arts Center in Wisconsin and at various commercial spaces in New York and San Francisco. Her work was included in the 2016 DeCordova Biennial. Her work has also been featured and reviewed in publications including ArtForum, Mousse Magazine, Outpost Journal and Magazine Gitz. She was the 2015 winner of the ArtSlant Prize. Her work is the collections of Providence College and the RISD Museum. She will have site specific multimedia installation opening at Smack Mellon in New York in 2018 and another installation that will be travelling to various institutions in 2017 and 2018. She is a founding member and director at Regina Rex in Brooklyn. She currently resides in Providence, RI where she is faculty at Brown University. Image © Theresa Ganz. Serpentine Pano Inverse. Watercolor on archival pigment print, 47" x 72", 2016. Courtesy of the artist. Image © Alison Rossiter. Eastman Kodak Carbon Velox, expired 1906, processed 2017. Courtesy of the artist. Alison Rossiter has worked with the materials and processes of light sensitive gelatin silver based photography since 1970. She studied photography at the Rochester Institute of Technology and the Banff Centre School of Fine Arts in Alberta, Canada. The darkroom is essential to her work with traditional methods of established processes. In 2003 observation into the field of photograph conservation as a volunteer at the Metropolitan Museum of Art led to a profound appreciation of the history of photographic materials. She has studios in New York and New Jersey. LV: Can you walk me through the process of making one of your books, for example, furlong: halfstory halflife. What interests me is first, what you "see" when you start working on the book, and then, what it is that "looks back" at you once you finished it. RM: I’ve made four small edition, self-published books since I began working at Furlong in 2014. Each book was meant as an attempt to cull together a season of pictures into a concise and coherent “chapter” of an ongoing story. These artist books also presented an opportunity to share the work-in-progress with a small gathering of collectors and patrons who’ve expressed an interest this work and in funding my efforts toward this project. In terms of what “looks back” at me with each completed volume, they’ve all been different. The first two books (furlong: blue evening and furlong: Adriana dreaming) where essentially a small catalogue of images that formed a loose narrative. Cabbage White, the third book—-included a small “free-verse” poem that alluded to a “coming of age” that playfully paralleled the pictures where the presence of cabbage white butterflies entering the frames became analogous to this time of life for adolescence and youth. In Halfstory halflife, I decided to focus a narrative on a single subject, Chris Pickett. I witnessed a fearlessness, though also what I’d describe as self-destructive behaviors that mark this transitional time of life—-an inability to maintain a working car, hold a steady job or girlfriend, balance a checkbook, etc. It is a free-fall that’s not without tenderness and grace. What I’ve noticed now, in retrospect---what looks back, is that this body of work also serves as a compassionate self-portrait. LV: I would like to ask you about your relationship to the written word. The absence of words in your books seems to give them a particular place/space. RM: For me, words (poetry or prose) essentially have to serve the same purpose as that of a picture…that is, they expand, transform or provide context for what is already begun—not as a device or means of clarifying or explaining. They can charge or heighten in ambiguous ways. This said, I love the merging of visual and word narratives and hope to one day contribute pictures to a work of fiction, perhaps of a novella length, where my pictures can serve as pause or a break but also function with similar motives I consider with the addition of text to a collection of pictures. LV: Can you tell us about the origins of your work? What is the starting place? AO: It's a tough question, because there have been many starting points. The question for me is not so much what to photograph, but more about how a picture can be made. In a sense I rarely go out to photograph or work in the studio without some idea already in my mind. Whether it's an art work or a photograph that I am trying to think through, or some ideas that I came upon that prompted further investigation, the camera is a tool for me to find depictions that can somehow address or reflect these encounters, and the different ways that they have influenced my thinking about photography. LV: In your new series of images “A Day of Times” (now on view at Brennam & Griffin Gallery), there is a dialogue with other written (and visual) works. Will you talk about "A Day of Times" in light of this dialogue, that for example reference, as we also see in some of your previous pieces, the philosopher Ludwig Wittgenstein? AO: It's hard for me to work without considering those who help shape my own understanding of photography, so I do hope my work can always be in dialog with the work of others, whether visual or textual. In the new series, I am thinking about seriality, repetition, color field painting, Photoshop gradations, Edward Weston, and Jim Welling's Aluminum Foil photographs. Wittgenstein has been a specter that comes and goes in my work. This series is not so much directly related to him although since the notion of time or change is very much part of the structure of this project, his description of the future being not a linear path but a curve that constantly changes directions somehow perfectly describes the phenomenon of waves, if not of course also about the course of history as we are living through it now. Arthur Ou works in photography, painting, sculpture, and installation. He has exhibited internationally, most recently in “Images that Speak” at the Presentation House in Vancouver, Canada, and “Astoria,” at the Grazer Kunstverein in Graz, Austria. His work has been featured in publications including Artforum, Aperture, Blind Spot, Camera Austria, Art in America, and The Photograph as Contemporary Art (Thames & Hudson). His work is featured in the new book, The Beauty of a Social Problem: Photography, Autonomy, Economy (University of Chicago Press, June 2015), by Walter Benn Michaels, and "Photography is Magic," (Aperture, September 2015) by Charlotte Cotton. He has published critical texts in Aperture, Afterall.org, Artforum.com, Bidoun, Foam, Fantom, Words Without Pictures, and X-Tra. Ou received his MFA from the Yale School of Art Photography Program. He is an associate professor of photography at Parsons School of Design in New York City. LV: In your second "umbrella concept" Struck by light, you present a collection of works made with the color photogram technique. How and why did you start working with color photograms? EC: I love the darkroom, and at the end of the 1980s, I went back to that first love, in black and white. My question: “What does an abstract photograph look like?” was followed by the challenge of trying to make one. I was clueless. Research began, looking at the dawn of photography in the 19th century, to Talbot and Atkins, all photograms, being sensitive to the abstract narrative. I had studied art history in KCAI as an undergraduate. The Nelson-Atkins Museum gave me first-rate artworks to view. Graduate school took me to SUNY@Buffalo for my MFA; The Albright-Knox Art Gallery has a fantastic collection in abstraction and minimalism, in the context of painting and sculpture. In photography, I looked at Man Ray and the Surrealists, Moholy-Nagy and Bauhaus. Pre-conceived notions of abstraction and photography were absent; I embraced the unknown and immersed myself with experimentation. The summer of 1989, it was very, very hot. I was lost, in fact, thinking that I was finished as a photographer. Then a picture happened. It asked more questions, which included color, I started with a muted palette, gaining momentum to bolder ones; the visual impact was radically different. In 2000, I began the discipline of color: in printing, in research. Light or no light, some or half-light, that it was a material, materials have meanings. Wherever light struck became my umbrella concept, adding context to content, form and shape, shadows anew. LV: In 1983 you were invited to work at the 20x24 Polaroid Studio. Can you briefly share how that particular experience impacted the future of your art? EC: Each time I work on the Polaroid 20 X 24, it is a totally amazing experience. I love Polaroid, my failures as well as my successes, worked with many cameras and film, but this camera, the BIG one, was an interesting mix of challenges, demanding that my creativity, imagination and skill rise to unprecedented heights. It had to be BIG too, an incredibly fulfilling and deeply rewarding experience, every time. This fateful encounter that began in 1983, continues, like a roll of film, a journey and inspiration. To be standing at this particular intersection of art and technology, science and instant photography, bringing new ideas, new nomenclature, new picture signs to our global photographic culture, it had to be me, through this machine, to talk about abstraction and minimalism, size and scale, color and non-color, form with feelings. Now that the work is getting recognized, all the things I had to go through, the peaks and valleys of my life’s journey, all of it was incredible. Ellen in Irish, Celtic, Gaelic, means “bringer of light”, this is my destiny. Ellen Carey (b.1952 USA) is an educator, independent scholar, guest curator, photographer and lens-based artist, with 53 one-person exhibitions. and several hundred group exhibitions. Widewalls named her one of the top ten photographers working in abstraction worldwide; she lives and works between New York and Hartford, where she is an Associate Professor of Photography at Hartford Art School, University of Hartford. LV: In your latest project “Automatic Earth”, you deal with a camera-less process that explores the "sculptural space" of the photographic paper. Can you talk about this? KM: I’ve always thought of photograms as a kind of imprint because unlike a photograph, a photogram records a physical encounter between the subject and the material; the mark of an interaction. The photographic rubbings I’ve been making lately take that idea further. I hand emboss the photo paper, in total darkness, into textures from the landscape and it’s that relief that creates the image. So rather than being made through sight or the sight of a camera, these representations are translated through touch – through my own body and the physical labor it takes to make them. LV: Can you comment on the “inner laws” of the matters and subjects with which you are working? KM: I’m not certain that I entirely understand the question, but I’ll take a crack at it: My methods are extremely unreliable, moody and sensitive beyond even my comprehension. The slightest change in wind, humidity, ambient light, pressure, density, distance, etc... results in an entirely different image. A tiny ripple in the paper caused by humidity can render itself like a lunar mountain. So I am at the whim of physics, nature, weather, even the person thousands of miles away, who coated the emulsion on my paper will have a say in the image I make. You might think that this would have caused me to become an expert at controlling or calculating these minute factors, but it’s done the opposite. It’s taught me to surrender to unpredictability and to acknowledge that my work is an imprint of all the forces that have acted on my material, even the unintended ones. LV: Can you talk about the conception of the book "A Spectacle and Nothing Strange", published in 2016 by Kehrer Verlag? AP: A Spectacle and Nothing Strange is a collection of photographs made over ten years; it draws from three bodies of work. The book forms its cohesion through content and concept rather than subject matter. In terms of subject matter, there’s a mix of landscapes, still lives, and people. Many of the images are an intervention into the world; however, some of them are simply found. The images create an adjacent world to a world to ours, not Other, but within. LV: Last year, Adam Bell wrote a very nice review of the book for photo-eye's blog and he paraphrased Jonathan Green, claiming "photos don’t tell the truth nor do they lie, they can only transform". Do you agree? In what way has this project "transformed" you or your work? AP: I do agree. I don't believe in the notion of Objective Truth, but it's a bit more complicated than that. Even just what one means when they say, "Truth." Are we talking about a felt Truth, a seen Truth an experienced Truth? All of these, "Truths" are different. In my work in particular, I try to tap into a more subjective, felt Truth, perhaps even a Truth that defies logical reasoning. Ahndraya Parlato was born in Kailua, Hawaii. She has a B.A. in photography from Bard College and an MFA from California College of the Arts. Her first monograph, A Spectacle and Nothing Strange was recently published by Kehrer Verlag. A book of her collaborations with Gregory Halpern, East of the Sun, West of the Moon, was published by Études Books in 2014. She has been nominated for the ICP Infinity Award, the Paul Huf Award from the FOAM Museum in Amsterdam, and the SECCA Award from the San Francisco Museum of Modern Art. Ahndraya has received grants from Light Work as well as the New York Foundation for the Arts. She is a professor of photography at the Rochester Institute of Technology. LV: Could you talk about the conceptual meaning behind your technical decisions? MB: Every technique and material has its own set of circumstances and hence content. In my work I try my best to balance these relations with photographic subject matter. LV: Some of your images are made with materials that bring a political allusion to the surface. Others are clearly marked by a sense of humor. And some of them have both. Can you say something about this? MB: This is related to the previous answer about technique and content. I hope my work might encourage reactions within a viewer, whether it is laughter or a reminder… it is always nice to relate to the living. Matthew Brandt was born in California in 1982. He received his BFA from The Cooper Union in New York and his MFA from UCLA. Brandt's work is in the permanent collections of Metropolitan Museum of Art, New York; National Gallery of Art, Washington, DC; J. Paul Getty Museum, Los Angeles; Brooklyn Museum, New York; Art Gallery of South Wales, Sydney, Australia; Virginia Museum of Fine Arts, Richmond; Cincinnati Art Museum; Los Angeles County Museum of Art; Hammer Museum, Los Angeles; Royal Danish Library, National Museum of Photography, Copenhagen; and the Columbus Museum of Art, among others. 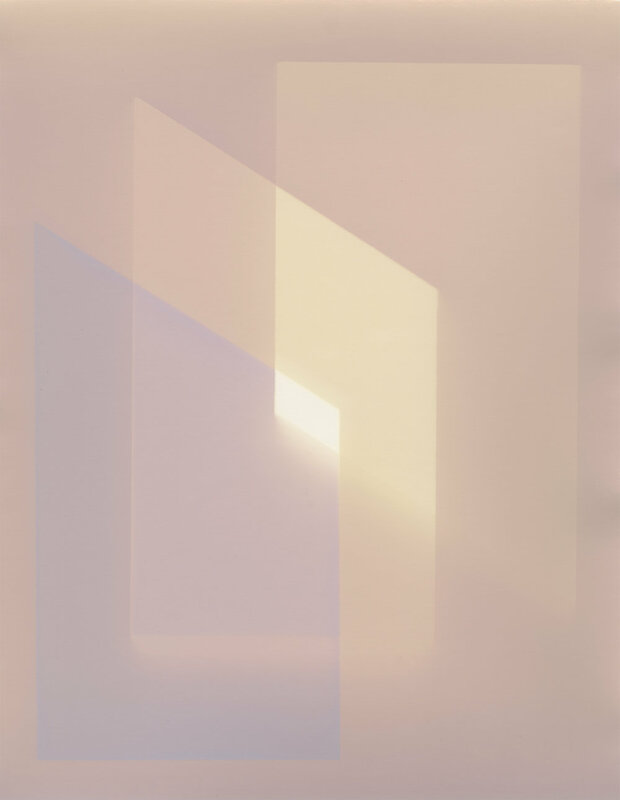 Matthew Brandt was one of seven artists featured in the 2015 exhibition at the J. Paul Getty Museum, Los Angeles, Light, Paper, Process: Reinventing Photography. A solo exhibition of his work, Sticky/Dusty/Wet, was presented by the Columbus Museum of Art and traveled to the Virginia Museum of Contemporary Art in 2014. Brandt's first monograph, Lakes and Reservoirs, co-published by Damiani and Yossi Milo Gallery, was released in Fall 2014. He currently lives and works in Los Angeles. 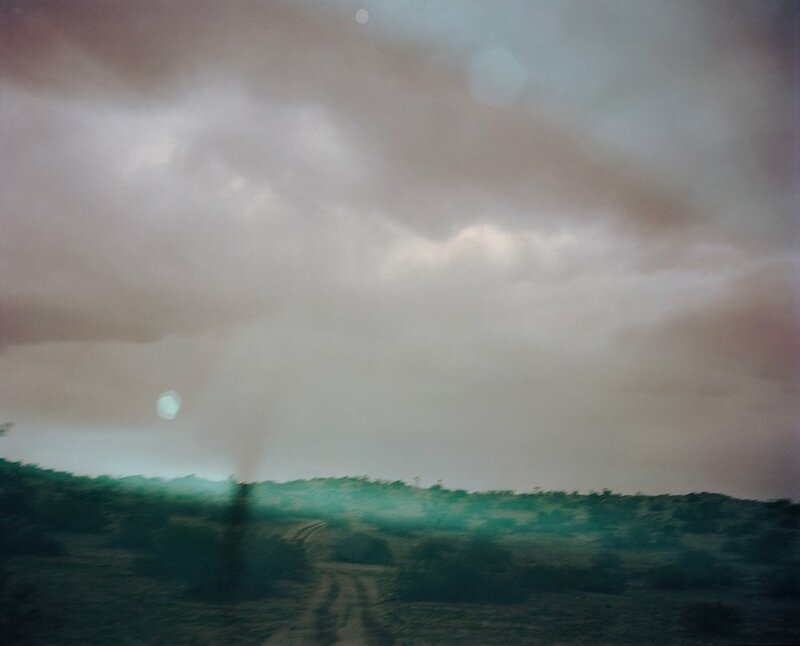 Gregory Halpern has exhibited internationally and published four books of photographs, including ZZYZX (Mack, 2016), A (J&L Books, 2011), Omaha Sketchbook (J&L Books, 2009) and East of the Sun, West of the Moon (Études, 2014), a collaboration with Ahndraya Parlato. He is also the editor, along with Jason Fulford, of The Photographer’s Playbook: Over 250 Assignments and Ideas (Aperture, 2014). He holds a BA in History and Literature from Harvard University and an MFA from California College of the Arts. The Paris Photo/Aperture Foundation voted ZZYZX Photobook of the Year in 2016, and in 2014 he was the recipient of a Guggenheim Fellowship. You've been working and shooting in many cities and areas in America, but we have seen a work of your own hometown Buffalo only recently published in the latest Aperture issue American Destiny. What is your relationship to Buffalo? How has the city informed and affected your work or your destiny as a photographer throughout these years? The place is deeply a part of me and shapes, in many ways, how I see the world. The city’s population is half of what it was at its peak, and although there has been something of an urban resurgence (a Brooklynization, if you will, in small pockets) a huge portion of city remains plagued by abandonment and joblessness. The art world and academia operate largely outside of, and insulated from, those realities. I should say that while I feel connected to the place and defensive of it, I’m not entirely of it, and certainly not anymore. When I go back now, I vacillate between feeling completely out of place, while simultaneously at home. Many of your works are the result of fruitful collaborations, as with Jason Fulford, and with your partner hndraya Parlato. Could you talk more about these collaborations and how your practice changes or gets influenced when you are working with other people? Ahndraya and Jason have had major impacts on my work; they have helped me arrive at final edits, and have helped me see the work more clearly while it was still in-progress. I don’t work in a vacuum, and I’m open to what others see in my work, especially if I trust their judgement as artists. So I think to some degree, the influence of Jason’s playfulness, or of Ahndraya’s surrealism, for example, has shown up in my own work, much to the work’s benefit I think. In all of your works, your images talk through symbols, sometimes aggressive sometimes dreamy, always leaving the viewer to imagine what's behind them. Could you talk more about your personal experience in California which is the subject of your latest work ZZYZX? Lauren Semivan (b. 1981) was born in Detroit, Michigan. She holds a BA from Lawrence University and an MFA from Cranbrook Academy of Art. Her work has been exhibited nationally and internationally at many galleries and museums including the Nelson Atkins Museum of Art, The Detroit Center for Contemporary Photography, The Griffin Museum of Photography, The Hunterdon Art Museum, and Cranbrook Art Museum. She has been a finalist for The John Gutmann Photography Fellowship, and SF Camerawork’s Baum Award for Emerging Photographers. Her work was recently published in Black Forest: Four Visual Poems (Candela Books, 2014) and has appeared in The New Yorker, Artforum, and Photograph magazines. Semivan’s work is part of permanent collections at the Nelson Atkins Museum of Art, Cranbrook Art Museum, and the Wriston Art Galleries at Lawrence University. She lives and works in Detroit, MI, and is represented by Benrubi Gallery in New York, and David Klein Gallery in Detroit. Her second solo exhibition with Benrubi Gallery opens this June. What led you to photography? How did you start? I studied music (violin) from an early age but became frustrated with restrictive interpretations of classical repertoire. I discovered the large format view camera while studying with John Shimon and Julie Lindemann at Lawrence University. The view camera felt primitive but complex at the same time like the violin. I became fascinated with the idea that in photography you could make your own world in which anything could happen or exist. I think the experience of studying music so intensely has greatly informed the way that I work. This particular image was one of the earliest I made using the studio wall as a backdrop. I thought of these early pictures as etudes. You often gather items from your daily life and let them be part of your photographs. What is your relationship to these objects? How do they become part of your practice? Or how do you relate to them when you're shooting? I am drawn to specific objects for their abstract interpretive potential. I take walks in my neighborhood with no specific thought in mind, but poetic relationships between concepts or ideas and objects I encounter reveal themselves to me. Then try to incorporate them into an image. I can relate it to the surrealists and objective chance. In Nadja, Andre Breton talks about objects or events presenting a signal. Sometimes I am drawn to objects first for their photogenic qualities, and then more significant meaning reveals itself in the context of the other elements within the photograph. In your Observatory project, you state that "Knowing and feeling are not separate" and also that your work "draws upon a tension that exists between irrational and physical worlds." Could you tell us more about this? I rely on my intuition when I am working, and I consider the things that we feel or sense just as important as what we know empirically or quantitatively as fact. Both are physical in some way or another, and this is what connects art and science. I am continually seeking out knowledge of myself and my experiences through my own environment and through metaphor, even though I may not know exactly what it is I am doing at the time, the act of looking and seeking meaning in the first place feels like the more important part. BRYAN GRAF | Tuesday, April 4th, 2017 | 7:00 pm (previously scheduled for Tuesday, March 14th, 2017). Due to the impending snowstorm, we have rescheduled this lecture. Bryan Graf navigates the photographic medium with a discursive interest in the history of photography and it’s relationship to design, painting, and narrative fiction. His practice involves mixing tracks (or prints) that have visceral, optical and conceptual relationships with each another. Recent solo shows include The Sun Room at Yancey Richardson, New York, NY and Moving Across The Interior at Halsey Mckay, East hampton, NY. Grafʼs work has recently been featured in Second Nature: Abstract Photography Then and Now at the Decordova Sculpture Park and Museum, and The Polaroid Years: Instant Photography and Experimentation at the Loeb Art Center at Vassar College. Grafʼs work has appeared in numerous publications, including Blind Spot, Harpers and The New York Times. He has published three books: Wildlife Analysis (Conveyor, 2013), Moving Across the Interior (ICA@MECA, 2014), and Prismatic Tracks (Conveyor, 2014). He is a 2016 grant recipient from The Pollock-Krasner Foundation. I read you started doing photography with your friends while skateboarding. Could you tell us more about those days? What drove you to take the camera? It was a pretty causal way to get into photography. I was more interested in skateboarding than photography at the time. As a lot of kids growing up in the 90’s did, I used those disposable film cameras to photograph my friends while we were skateboarding and hanging out. After a while I became more and more interested in photography and started making it a priority to wander around and shoot. A lot of your photography plays around the idea that images should not lead viewers to any conclusion, but rather be a way to explore their feelings. How much do you let your own feelings filter into your working process? It’s not so much about ‘feelings’ as it is about firmly believing that prescribing a precise content for viewers to receive and digest is not productive, or interesting. I’m not a doctor, I’m not here to give you a pill to swallow which encapsulates a finite and preconceived reception for my work. I’m much more interested in my photographs being pieces of persuasion, and that the content derived from the work is a subjective, personal experience that can vary from person to person. I believe that content is cumulative and can come from the tension, or debris, between images more so than individual images. Is there a contemporary artist (not necessarily in photography) who is a current inspiration for your work? My friends Gregory Halpern and Curran Hatleberg always amaze me with their ability to infuse a poetic tone with razor sharp observations that build over time to form these complex, multi-layered tomes that I find are akin to the narratives, and economy of description, found in short stories by Raymond Carver and Joan Didion. Abelardo Morell was born in Havana, Cuba in 1948. Morell received his MFA from The Yale University School of Art in 1981. His publications include a photographic illustration of Alice’s Adventures in Wonderland (1998) by Dutton Children’s Books, A Camera in a Room (1995) by Smithsonian Press, A Book of Books (2002), Camera Obscura (2004) by Bulfinch Press and Abelardo Morell (2005), published by Phaidon Press. His work has been collected and shown in many galleries, institutions and museums, including the Museum of Modern Art, The Whitney Museum of American Art, the Metropolitan Art Museum in New York, The Chicago Art Institute, The San Francisco Museum of Modern Art, The Houston Museum of Art, The Boston Museum of Fine Art, The Victoria & Albert Museum and over seventy other museums in the United States and abroad. Your images made with the camera oscura technique made us explore different worlds, entering an oneiric imagery. How do you choose the interiors where you set up the camera when you're travelling? Could you tell us more about the process and the whole experience of setting this up or how it has evolved throughout the years? Usually I find a view that I want to enter a room- that’s the most important part- finding a place with a room is secondary but the qualities of the space matters too. Often, the architectural details of a room really work well with the incoming image. Because I use a digital camera my exposures now have gone from hours to a couple of minutes. These shorter exposures can capture more specific moments of light events which I like very much- It’s nice to actually see clouds in these rooms. You have a show opening in New York on March 9 called Flowers for Lisa, a romantic homage to your partner. How has this relationship influenced your practice and creativity? Lisa and I have been together for 40 years. In a way these flower pictures serve as a poetic narrative of our life together and the many events - good and not so good - that we have shared. Your vision seems to be very much imbued by painting. We see a lot of contaminations from art movements such as surrealism and impressionism in your photographs. But you also use your own painting to create images. Could you tell us more about this intertwined relation between painting and photography? Young Suh lives and works in Albany (in the San Francisco Bay Area, California). His photographic work addresses the complex nature of the human involvement in managing natural resources and the shifting concepts of nature in the contemporary society. Over the last 12 years he has completed two major projects, “Instant Traveler” and “Wildfires.” He had solo exhibitions with Haines Gallery, San Francisco, Center for Contemporary Art, Sacramento, Clifford Smith Gallery, Boston, and Gallery ON, Seoul, Korea. His work was also shown at the Santa Barbara Museum of Art and Seoul International Photography Festival. 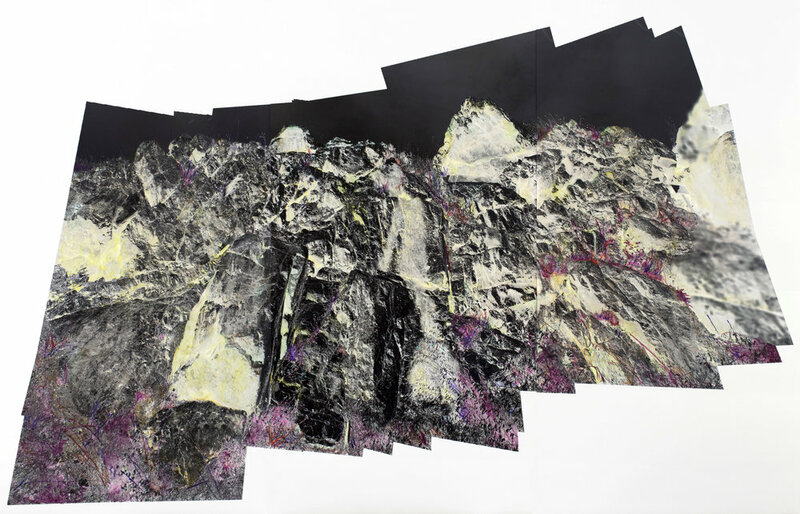 His latest work has been exhibited at Mills College Art Museum. It is titled “Can We Live Here? Stories from a Difficult World,” a multimedia exhibition of photography, video, and performance created in collaboration with poet Katie Peterson. He is currently Associate Professor and Co-Chair of Department of Art and Art History at University of California, Davis. Can you talk about who inspired you in your earlier career? Is there a photographer or a painter you get inspiration from? I love Robert Frank, not just the famous book, The Americans, a classic of both photography and American road trip literature, but the whole career, including the strange films like Me and My Brother. I don’t think Frank ever really worked around the idea of a “project” and at least right now I don’t want to do that kind of work – even in The Americans he gets distracted a lot. The book is actually one long distraction from one place to another. Frank brings art into life – he considers the two at the same time, and he lets the pictures get messy as his life gets messy. Nan Goldin and Alex Soth are photographers I admire for the same reason, though they led far more exciting lives than I ever do. Your projects, facing environmental issues, reveal a suspended narrative between dream and catastrophe, could you tell us more about it? What makes you choose these themes? What is your own relationship to nature? Nature terrifies me. My wife is from California and she loves open spaces and the mountains and feels safe in them. I don’t – the American West fills me with fear and something like the National Parks makes me feel apprehensive, because it marks the land with some idea that we could mythologize it, control it. At first, when I was photographing parks and wildfires, I was interested in how humans tried to control nature. This is a major issue during a time when climate change has shown us exactly how human activity has raised the temperature of the planet. Images of people struggling in nature are still compelling to me, but I’ve gotten less interested in people trying to control it than in those times when people are at the mercy of it. We humans are not yet in control of nature completely. So I got interested in taking pictures of people with animals, for example, because I wanted to see what people looked like when they weren’t in control. We should preserve those experiences, value them, and investigate them. How California and Korea influenced the use of light in your photography? In California there is too much of it and in Korea, a winter country at a slightly higher latitude, there is not enough. I have noticed in my pictures I either have a surfeit of light (for example, trying to fit a fire into an already-hot day, or icy glaciers against a slate-gray sky) or a lack of it (I made a film once of the lights of a ferryboat at night slowly going off). I’m a moody person and I like dramatic extremes of light, and in California you notice that in ordinary situations. Light is the opera of our lives in California – people say that this is a “chill” state but the intensity of light never tells us to calm down the way, say, a Northeastern winter day does. As a student, or even before or after, how did you start developing your passion for photograms? What inspired you earlier in your life to choose this path as your visual language? I was inspired to make this photogram by two things: finding in the New York Times a documentary photograph of a house blown apart by a hurricane, and thinking about the notion of shape as form in high Modernist painting. My formal practice evolves in the service of meta-narratives about the dissemination of culture. What news do we see, how do we usually see it, how can I spend more time with it, and how can my work motivate you to do the same? Photography is such a physical medium. You can't do it sitting down. I am fascinated by how photography makes me move, and how I can use it to make other people move as well. Some of your work (specifically Soundscapes, Shape of Sound and Cymbalscapes) is clearly influenced by music: what is your relationship to it? What do you like to listen? Leo Tolstoy opens Anna Karenina with the line, "All happy families are alike; each unhappy family is unhappy in its own way.” Think about this in terms of constants and variables in art-making: any accident or conflict, if you pay attention to it, can be productive. By "pay attention", I mean that one has to a) set up parameters and have expectations; b) notice that something has occurred that was not what one intended; and c) decide whether or not to pursue the unintended consequence of accident and incorporate it into a new set of parameters. As much as photographers usually like to talk about technique and anecdote, what they're really talking about is the medium's steadiest bed fellows: chance and control. How has California influenced your practice? is there a place or a museum you always come back to as it affects your vision or you're emotionally bound to it? I make negatives, but I always want the way that I do that to be significant. There are no defaults left for long in my practice. Any one material means something: glass is vulnerable, the photograph has a reputation for facticity, resin has something to do with history, and so on. Here is a negative I made out of glass and steel, using the logic of light to describe a linear shadow on the wall from the drumset's armature and a volumetric one from its cymbals. Moholy Nagy made sculptural negatives too. Mine just have reference points embedded in their abstract arguments. The referent gives you somewhere to start before you spin out alongside me in a body of work. * Giada De Agostinis is a freelance editor. She earned an MA in Publishing from Oxford Brookes University and divides her time between the Aperture Foundation and Paper Journal's editorial departments. Image © Andrea Modica. Lunenburg, Vermont. Courtesy of the artist. Andrea Modica was born in New York City and lives in Philadelphia, where she works as a photographer and teaches at Drexel University and the International Center of Photography. A graduate of the Yale School of Art, she is a Guggenheim Fellow, a Fulbright Scholar and the recipient of a Knight Award. Modica has exhibited extensively and has had solo exhibitions at the San Francisco Museum of Modern Art, the Cleveland Museum of Art, the Boulder Museum of Contemporary Art and the San Diego Museum of Photographic Arts. Her publications include Treadwell (Chronicle Books, 1996), Human Being (Nazraeli Press, 2001), Barbara (Nazraeli Press, 2002), Fountain (Stinehour Editions, 2008), L’amico del cuore (Nazraeli Press, 2014) and As We Wait (L'Artiere, 2015). Andrea Modica’s photographs are part of the permanent collections of numerous institutions, including the Museum of Modern Art, the Metropolitan Museum of Art, the Whitney Museum of American Art, the Brooklyn Museum, the Philadelphia Museum of Art, the Smithsonian American Art Museum, the International Museum of Photography and Film at the George Eastman House, and the Bibliotheque Nationale. Besides working as a professional photographer for over fifty-five years, Larry Fink has had one-man shows at New York’s Museum of Modern Art, and the Whitney Museum of Modern Art amongst others. On the European continent, he has had one-man shows at the Musee de l’Elysee in Lausanne, Switzerland and the Musee de la Photographie in Charleroi, Belgium. He has been awarded two John Simon Guggenheim Fellowships and two National Endowment for the Arts, Individual Photography Fellowships. He has been teaching for over fifty-two years, with professorial positions held at Yale University, Cooper Union, and lastly at Bard College, where he is an honored professor. Image © Milagros de la Torre. Under the Black Sun (Policemen), 1991-1993. Archival pigment print on cotton paper, mounted on aluminum. 80 x 60 in. MILAGROS DE LA TORRE is an artist working with the photographic medium since 1991. Her images involve extensive research and examine intimate representations of violence, its residual effect on the individual, and the structures of remembrance. She studied Communication Sciences at the University of Lima and received a B.A. (Hons) in Photographic Arts from the London College of Communication. Her first solo exhibition, curated by Robert Delpire, was presented at the Palais de Tokyo, Paris. She received the Rockefeller Foundation Artist Grant and was awarded the Romeo Martinez Photography Prize and the Young Ibero-American Creators Prize. In 2003, her artist book Trouble de la Vue was published by Toluca Editions, Paris. She was awarded the Guggenheim Fellowship (2012), The Dora Maar Fellowship from The Brown Foundation (2014), The Peter S. Reed Foundation Award in Photography (2016) and was the recipient of a ‘Merited Person of Culture Award’ from the Minister of Culture in Peru (2016). Her work has been exhibited broadly and is part of permanent museum collections in America and Europe. In 2012, The Americas Society, N.Y. presented "Observed", a solo show, curated by Prof. Edward J. Sullivan and the Museo de Arte de Lima, MALI honored her with a mid-career retrospective exhibition. Born in Peru, De la Torre lives and works in New York. Image © Suné Woods. Landings, 2015, 10.5”x 17”, mixed media collage. Image © Meghann Riepenhoff. Littoral Drift #05 (Recto/Verso, Rodeo Beach, Sausalito, CA 08.01.13, Two Waves, Dipped); unique cyanotype, 24"x48". Born in Atlanta, GA, MEGHANN RIEPENHOFF is based in Bainbridge Island, WA and San Francisco, CA. She received a BFA in Photography from the University of Georgia, and an MFA from San Francisco Art Institute, where she is a member of the visiting faculty. Her work is represented by Yossi Milo Gallery and Euqinom Projects. She has been exhibited at the High Museum of Art, the Worcester Art Museum, Galerie du Monde, San Francisco Camerawork, Aperture, and the Center for Fine Art Photography. Her work is in the collections of the High Museum of Art, the Museum of Fine Arts, Houston, the Museum of Contemporary Photography and the Worcester Art Museum, and has been published in Harper’s Magazine, Aperture PhotoBook Review, The New York Times, TIME Magazine Lightbox, and the San Francisco Chronicle. She is the recipient of a Fleishhacker Foundation grant, and is speaking at What Light Can Do, the San Francisco Museum of Modern Art’s upcoming lecture series. Image © Sarah Palmer. Light Passes, Archival Pigment Print, 30" x 24", 2016. Image © An-My Lê. 29 Palms: Night Operations III, 2003-04. Gelatin silver print, 26 1/2 x 38 inches. Courtesy of Murray Guy Gallery and An-My Lê. AN-MY LÈ was born in Saigon, Vietnam, in 1960. She left Vietnam during the final year of the war in 1975 before finding a home as a political refugee in the U.S. Lê received an MFA from Yale University in 1993, and between 1994 and 1998 she made several trips back to Vietnam to discover and photograph her native country in peacetime. Since then Lê has explored the military conflicts that have framed the last half-century of American history: the war in Vietnam and the war in Iraq. But she approaches these events obliquely; instead of addressing her subject by creating reportage of actual conflict, she photographs places where war is psychologically anticipated, processed, and relived: Vietnam War re-enactments in Virginia and North Carolina (in her series Small Wars); and the US Marines’ training in the “virtual” Afghanistan and Iraq of the Californian desert (in 29 Palms). Lê has had solo exhibitions at the Baltimore Art Museum, the Charles Scott Gallery at Emily Carr University, Vancouver, Hasselblad Foundation, Gothenburg; DIA: Beacon, New York; the Henry Art Gallery, Seattle; the San Francisco Museum of Modern Art; The Museum of Contemporary Photography, Chicago; and P.S.1 MoMA, New York, among many other institutions. Lê is the recipient of numerous awards, including fellowships from the New York Foundation for the Arts, the John Simon Guggenheim Memorial Foundation, the Louis Comfort Tiffany Foundation and the MacArthur Foundation in 2012. She is a professor of Photography at Bard College. Image © Aspen Mays. Bandanna, 2016, gelatin silver photogram 24 x 20 inches. Courtesy of Higher Pictures and the artist. Image © Eileen Quinlan. The Crow, 2016. Gelatin silver print, 25 x 20 inches (63.5 x 50.8 cm). Courtesy of Miguel Abreu Gallery and the artist. EILEEN QUINLAN was born in Boston, MA and lives and works in Brooklyn, NY. She has a BFA from the School of the Museum of Fine Arts, Boston, and an MFA from Columbia University. Quinlan frequently participates in group shows and has mounted more than a dozen solo shows internationally since 2005. Her work is in the permanent collections of the Metropolitan Museum of Art, Museum of Modern Art, Whitney Museum of American Art, Hammer Museum, Museum of Contemporary Art LA, and FRAC (Fonds Régional d'Art Contemporain), France, among others. Recent shows include joint solo exhibitions at Campoli Presti Galleries in London and Paris, and group exhibitions Image Support at Bergen Kunsthall, Norway; Transmission, Recreation and Repetition at the Palais des Beaux-Arts in Paris, Lens Work at LACMA in Los Angeles, and New Photography at the Museum of Modern Artand What Is a Photograph at the International Center for Photography, both in New York. Quinlan's work is represented by Miguel Abreu Gallery, in New York. Image © Susan Derges. Eden 5. From the series: Eden & The Observer. Lambda print. 40 X 95 inches, 2004. Courtesy of Danziger Gallery and Susan Derges. Born in London, England in 1955, SUSAN DERGES currently lives and works in Dartmoor, Devon. From 1973-1976 she studied painting at Chelsea School of Art in London. From 1981 to 1985 she lived and worked in Japan, returning to London in 1986 with the influences of Japanese minimalism and integrating this into her discovery of camera-less photography processes. Throughout her career Derges has been the recipient of many awards, fellowships, and residencies where she has been able to further pursue her artistic interest in science. She has received residencies at the Museum of the History of Science attached to the University of Oxford, The Eden Project Education Centre in Cornwall, Stour Valley Arts Project in Kings Wood, Kent, and Maudsley Hospital in London, among others. She has been exhibited throughout the world in both solo and group exhibitions. Her work has been exhibited at Purdy Hicks Gallery in London, Johyun Gallery in Seoul, Ingleby Gallery in Edinburgh, Paul Gasmin Gallery in New York, Museum of the History of Science in Oxford, and Tokyo Design Centre, among many others. Her work can be found in many collections, including: Arts Council of England, Victoria & Albert Museum, San Fransisco Museum of Modern Art, Museum of Fine Arts Boston, Eden Project, Metropolitan Museum of Art, The Hara Art Museum, among others. Susan Derges is represented by Purdy Hicks Gallery in London and Ingleby Gallery in Edinburgh. Derges latest New York exhibition will be opening on September 14th, 2016 at Danziger Gallery. 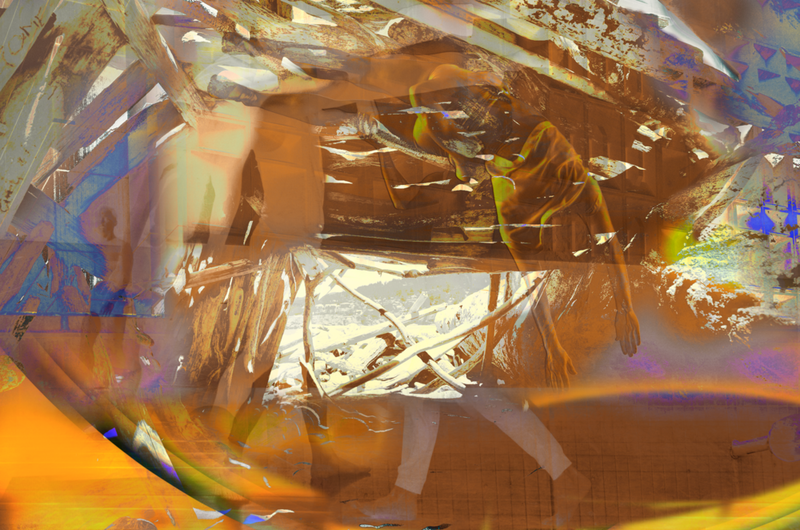 Naomi Itami is a cross-disciplinary artist working in lens-based media and sound. Formerly an international opera singer, she holds several Masters degrees including one from the LCC in Photography. She writes on the arts and is a frequent contributor to various publications including Hotshoe Magazine, Photomonitor and LensCulture. A Bay Area native, she currently resides in London, UK. HANNAH WHITAKER is an artist and Triple Canopy contributing editor based in New York. She holds a BA from Yale University and an MFA from ICP/Bard College. Recent exhibitions include solo shows at M+B Gallery in Los Angeles, Galerie Christophe Gaillard in Paris, and Locust Projects in Miami. She recently published her first book, Peer to Peer, with Mörel Books. In 2012, she was nominated for the Rencontres d’Arles Discovery Prize. Bay Area photographer JOHN CHIARA captures cityscapes in a process that incorporates a hybrid of photographic media. He creates one-of-a-kind photographs in a variety of hand-built cameras, the largest of which is a 50” x 80” field camera transported by the artist on a flatbed trailer. Once a location is selected, he situates and then physically enters the camera, maneuvering in near total darkness positive color photographic paper on the camera’s back wall. Throughout the exposure, he controls how the light enters the lens by using his hands to burn and dodge in the image. These large-scale photographs are developed by hand in a spinning drum process that agitates the chemistry over the photographic paper that lines the interior of the drum – a process that often leaves behind traces on the resulting image. Image © Sharon Harper. Wind Turbines, La Palma, Canary Islands, Chromogenic-Print, 2013. Born in London and based in New York, LUCY HELTON received her master’s degree in fine art photography from Hartford Art School, CT, in 2014. Her first book "Actions of Consequence" was nominated for the MACK First Book Award 2014, shortlisted for the Kassel Dummy Award 2015, and The Anamorphosis Prize 2015. "Actions of Consequence" was also included in the 2015 Best Photo Book selection by the Humble Arts Foundation. Her most recent book "Transmission" (Silas Finch, 2015) is a communication from our future to our recent past and it was shortlisted for the Paris Photo-Aperture First Book Award 2015. Helton is immersed in photo book making and has participated in various book fairs and festivals in New York, L.A., London, Germany and France. JOHN CYR (b. 1981) is a New York based photographer and Assistant Professor of Photographic Imaging at Suffolk County Community College. Cyr earned his MFA from the School of Visual Arts in 2010 and his work has been featured in various publications including the New York Times, BBC News, ARTnews, TIME, NPR, Popular Photography, the Telegraph and Photo District News and is the author of the powerHouse published monograph, Developer Trays. Cyr's photography is represented in many notable public and private collections including: George Eastman House International Museum of Photography, Rochester, New York; The Photographic History Collection at the Smithsonian's National Museum of American History, Washington D.C.; and The New York Public Library, New York, New York. John Cyr is represented by Catherine Edelman Gallery in Chicago. Image © Victor Sira. "Mark 01"
VICTOR SIRA is a Venezuela-born photographer/artist whose work has been the recipient of numerous fellowships, including the Guggenheim Foundation Fellowship, the Andrea Frank Foundation Fellowship and the New York Foundation for the Arts Fellowship. Sira is a faculty member at the ICP–Bard MFA Program in Advanced Photographic Studies, where he teaches the course The Book: Imaginary Studio, A Non Stop Process. In 2011, he co-founded, with Shiori Kawasaki, Bookdummypress (bdp), a publishing company, studio, and bookstore that specializes in artist publications. At age thirteen, CHRIS McCAW’s mom forced him to take a photo course at the community center. He got hooked instantly. Concurrently, McCaw spent his youth in the punk and skateboarding scenes, taking the “DIY” motto of those cultures and applying it to photography. The first camera he built in 1995 was a 7x17” view camera to make contact negatives for platinum prints. Over the ensuing decades—and particularly with his Sunburn project—McCaw has used photographic materials, especially expired gelatin silver paper, in groundbreaking ways. His work is held in numerous public collections, and in 2012 a monograph Sunburn was published by Candela Books. His second solo exhibition at Yossi Milo Gallery will be opening on March 4th. 2016. 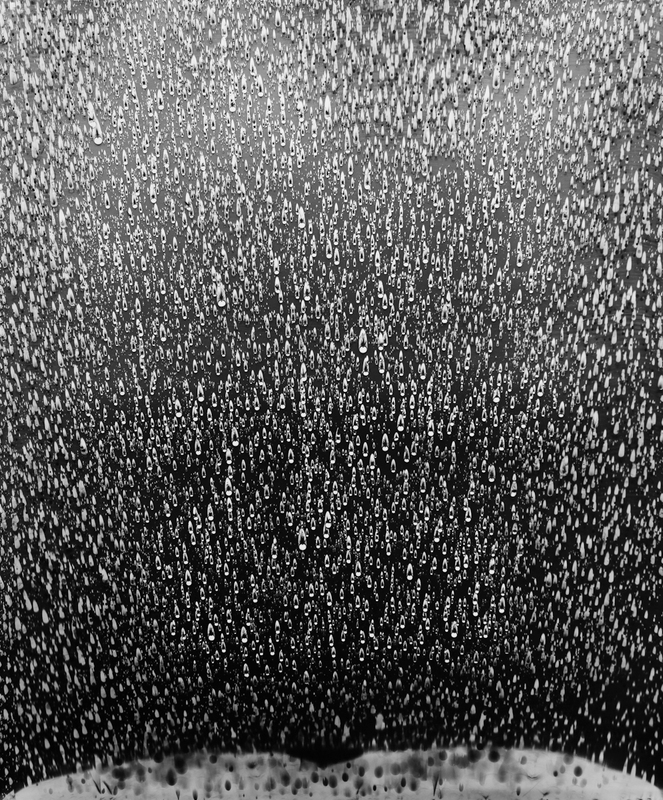 Image © Vera Lutter. Radio Telescope, Effelsberg, XVI: September 13, 2013. VERA LUTTER was born in Kaiserslautern, Germany. After receiving a diploma in fine arts from the Munich Academy in 1990, she studied photography at the School of Visual Arts in New York City. In addition to several solo shows, Lutter has undertaken a number of commissions. Recent solo shows include The Modern Art Museum of Fort Worth, Texas (2005); Foundation Beyeler, Switzerland (2008); Carré d’art Musée d’Art contemporain, Nimes (2012); “Inverted Worlds,” Museum of Fine Arts, Houston (2015, traveling to New Orleans Museum of Art, Louisiana, through 2016); and “This is a Photograph,” Penland Gallery and Visitors Center, North Carolina (2016). Lutter’s photographs are in the permanent collections of the Metropolitan Museum of Art, New York; Museum of Modern Art, New York; Whitney Museum of American Art, New York; Museum of Fine Arts, Houston; and San Francisco Museum of Modern Art, California, among others. Lutter was the recipient of the Deutscher Akademischer Austausch Dienst (DAAD) Grant in 1993, the John Simon Guggenheim Memorial Foundation Fellowship in 2001, and the Pollock–Krasner Foundation Grant in 2002. YAMINI NAYAR was raised between Detroit, MI and New Delhi, India, and now lives and works in Brooklyn, NY. She received her MFA from the School of Visual Arts, NY and BFA from the Rhode Island School of Design. Nayar has held residencies at the Lower Manhattan Cultural Council Workspace, Center for Photography at Woodstock , Art Academy of Cincinnati, was recently an NYU Visiting Artist Scholar and a recipient of an Art Matters Foundation research grant to travel to Chandigarh, India. Nayar has exhibited her work internationally at venues including the Museum of Moderne Kunst in Frankfurt, Yerba Buena Center for the Arts, Queensland Art Gallery, Australia, DeCordova Museum, MA, Sharjah Biennial, UAE, Saatchi Gallery, UK. Nayar's work is included in numerous public and private collections, including the Solomon Guggenheim Museum NY, Saatchi Museum, Queensland Art Museum, Cincinnati Art Museum, Queens Museum and US Arts in Embassies. Her work has been featured in numerous publications and magazines including Passages: Indian Art Today (Daab Media, 2014), Lines of Control, Partition as a Productive Space (Green Cardamom 2012), Unfixed: Postcolonial Photography in Contemporary Art (Jap Sam Books, 2013); and Manual for Treason: Sharjah Biennial (2011), and featured in the New York Times, New Yorker Magazine, Art India, Artforum, Art in America, Frieze, Vogue India, Artpapers, and Art Economist. She is the recipient of a 2014 Art Matters grant, and is as a Thesis Advisor in the MFA Photography Dept of the School of Visual Arts in New York. 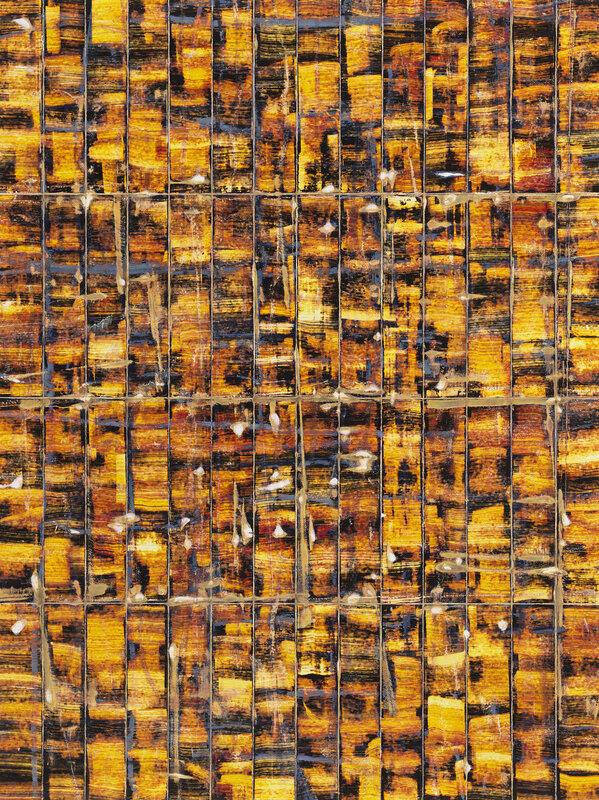 Nayar's work is represented by Thomas Erben, New York and Jhaveri Contemporary, Mumbai. 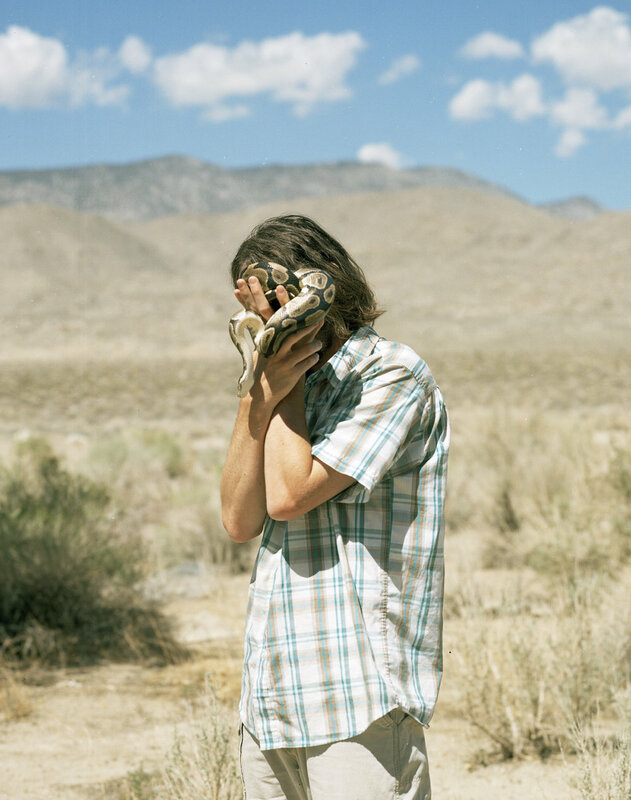 DILLON DEWATERS is an artist working in traditional and experimental photography and video. He received his MFA in Advanced Photographic Studies from the International Center of Photography/Bard College in 2010, where he was awarded the ICP Director’s Fellowship in 2009, and his BFA in Photography from Arizona State University in 2002. He has participated in many group exhibitions, including, “Brand Innovations for Ubiquitous Authorship,” at Higher Pictures gallery in summer 2012, “Useful Pictures” at Michael Matthews Gallery and “Beyond the Barrier” at the Camera Club of New York, both in spring 2013, and “Lightplay” at Moscow’s Gallery 21 in winter 2013. In 2012, he was awarded a Tierney Fellowship by the Tierney Family Foundation. He has been Director of Photography and Imaging at Vik Muniz Studio since 2011. His work was published in Conveyor 5: Spectre // Spectrum, and he was commissioned by Conveyor to create the Indigo artist’s book for their “Visible Spectrum” book series. His work was included in The Future is Forever exhibition at ICP at Mana Contemporary. Image © Jon Goodman. The picnic table, Kapahu Living Farm, Kipahulu. Photogravure. JON GOODMAN may be considered the catalyst in the modern revival of the photogravure process. He is a master printer of photogravure and a photographer. Goodman came to photogravure as a photographer and continues to make his own creative pictures with the camera. His landscape and still life prints have been exhibited nationally and internationally; outside of this country he has had one-person exhibitions in Scotland, France and Switzerland. His work has been collected by many museums, among them the Museum of Modern Art, the Metropolitan Museum of Art, the Museé de L’Elysée (Lausanne, Switzerland) and the Bibliothèque National (Paris). In 2005, Goodman published Photography in High Places: The Work of Bradford Washburn. This lavish portfolio printed in an edition of 100 (10 of which are limited Chine-collé) represents Goodman’s foray into the publishing marketplace. Image © Marina Berio, Family Matter 3, 2008/2013, gum bichromate print with blood, 10.2 x 10.2 in. KUNIÉ SUGIURA was born in Nagoya, Japan in 1942. She received a BFA from the School of the Art Institute of Chicago, Chicago, IL, in 1967. Since she arrived in the United States from Japan in 1963, Kunié Sugiura has created innovative works that expand the uses of photography while exploring its relationship with drawing and painting. 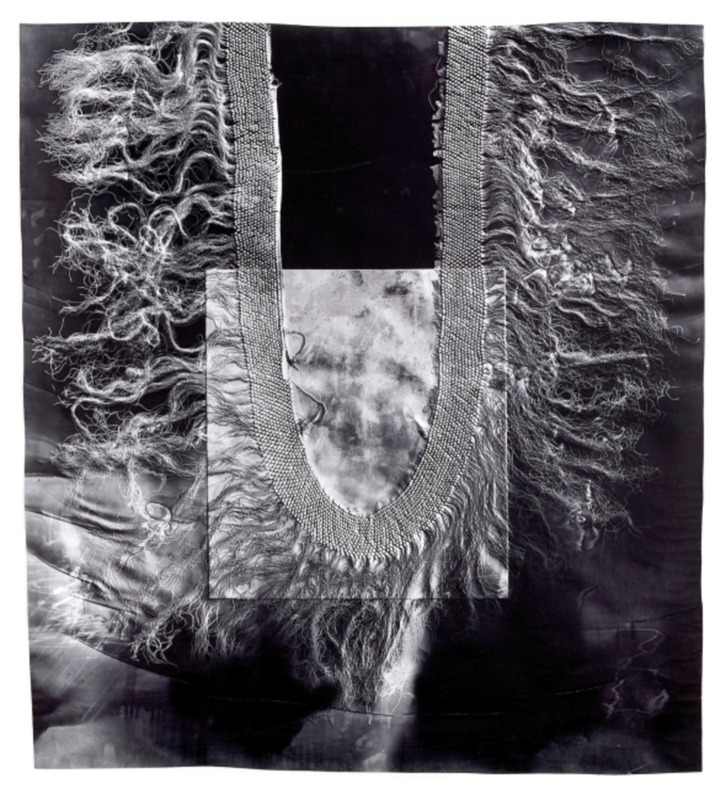 By the early 1970s, she had established the paradigms for her mature work: a lifelong interest in multimedia experimentation and the photographic manipulation of images from nature. 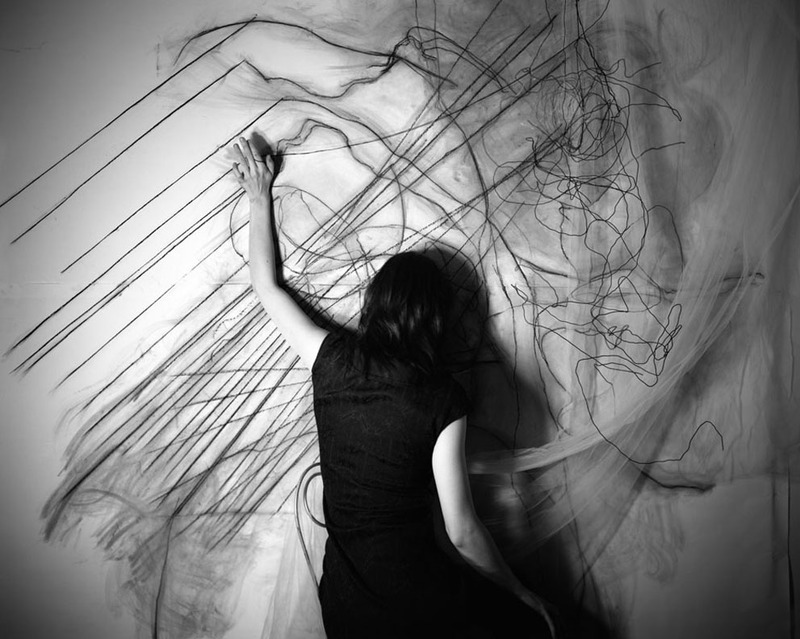 In 1980, while searching for a way to make more dynamic drawings, she adopted the classic black and white photogram technique which she has used ever since. Works by Kunié Sugiura have been exhibited at major museums throughout Japan, Europe, and the United States and are included in the collections of The Museum of Modern Art, New York; the Museum of Fine Arts, Houston; the Museum of Fine Arts, Boston; the Tokyo Metropolitan Museum of Photography; the National Museum of Modern Art, Tokyo, among many others. Sugiura is represented by Leslie Tonkonow Artworks + Projects in New York, NY. PAULA McCARTNEY makes photographs and artists’ books that explore the idea of constructed landscapes and the way that people interact with and manipulate the natural world. McCartney earned an M.F.A. in Photography from the San Francisco Art Institute and has received grants from the Aaron Siskind Foundation the McKnight Foundation and the Minnesota State Arts Board. Her work has been exhibited across the US and is included in numerous public collections including the Museum of Contemporary Photography, the Smithsonian American Art Museum, the Minneapolis Institute of Arts and the Museum of Modern Art’s Artist Book Collection.Princeton Architectural Press published her first monograph, Bird Watching, in 2010. Her second monograph, A Field Guide to Snow and Ice, was published by Silas Finch in 2014. LOTHAR OSTERBURG is known as one of the foremost photogravure artists in the country who is also working on stop motion video collaborations with his wife, composer and performer Elizabeth Brown. A 2010 John Simon Guggenheim Memorial Fellowship recipient, the same year he also received an Academy Award in Art from the American Academy of Arts and Letters and a Bard College research grant, he has been awarded two New York Foundation for the Arts grants for printmaking in 2003 and 2009, a grant from the AEV Foundation in 2009 and residencies at MacDowell in 1996, 1997 and 2002, the Virginia Center for the Creative Arts in 1999 and a 2011 residency at the Liguria Studies Center of the Bogliasco Foundattion in Italy. Exhibition highlights include major shows at ICPNA in Lima, Peru in 2010, the Fitchburg Art Museum, Fitchburg, MA in 2007, the Cantor Fitzgerald Gallery at Haverford College in 2002, the Zoller Gallery at Penn State University in 2003 as well as part of the 2013 100 year anniversary show at Grand Central Terminal “On Time”. His work has been shown in solo shows at Lesley Heller Workspace in 2009, 2011 and 2015, Moeller Fine Art in 2003, 2004 (New York) and 2011 (Berlin), as well as Wendy Cooper Gallery in Madison, WI, Lunday Fine Art in Houston, TX and many more. He received a degree in printmaking and experimental film from the Art Academy (HbK) Braunschweig, Germany. After moving to the US in 1987 he worked in various print studios including as Master Printer at Crown Point Press in San Francisco. He started his own print studio specializing in photogravure in 1993, moving it to New York City in 1994. He has taught photogravure workshops across the country, from Anderson Ranch Arts Center, Maui’s Hui No’Eau Visual Arts Center, RISD, Mass Art or Tulane. Having taught at Columbia University and Cooper Union he has been on the faculty of Bard College for more than 15 years. American photographer ANDREW MOORE (born 1957) is widely acclaimed for his photographic series, usually taken over many years, which record the effect of time on the natural and built landscape. These series include work from Cuba, Russia, Times Square, Detroit, and the High Plains of the United States. His newest book, entitled Dirt Meridian, is published by Damiani Editore and will be released in the Fall of 2015. The photographs were made over a ten-year period along the lands that lie west of the 100 the meridian and addresses the history and mythology of this region known as “flyover country”. The book also includes a preface by the noted author Kent Haruf, as well other essays and an extensive set of endnotes. Moore’s photographs are held in the collections of the Metropolitan Museum of Art, the Whitney Museum of American Art, the National Gallery of Art, the Yale University Art Gallery, Museum of Fine Arts Houston, the George Eastman House and the Library of Congress amongst many other institutions. He has received grants from the John Simon Guggenheim Memorial Foundation, the National Endowment for the Humanities, the New York State Council on the Arts, the JM Kaplan Fund, and the Cissy Patterson Foundation. Moore’s other publications include Detroit Disassembled, Making History, Governors Island, Russia; Beyond Utopia, Cuba and Inside Havana. He also produced and photographed &quot;How to draw a bunny,&quot; a documentary feature film on the artist Ray Johnson. The movie premiered at the 2002 Sundance Festival, where it won a Special Jury prize. Presently he teaches a graduate seminar in the MFA Photography Video and Related Media program at the School of Visual Arts in New York City.